The Vitl MicroTS Microplate Heat Sealer is a compact, fixed temperature heat sealer for PCR plates and microplates. Ideal for use in low to medium throughput laboratories where space is limited but speed and reliability is paramount. 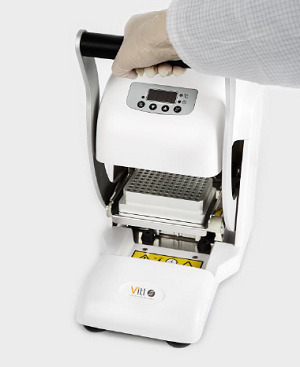 The Vitl VTS is a variable temperature heat sealer for a wide range of microplates. The VTS is designed to deliver consistent sealing in low to medium throughput laboratories.